When the full moon shines in Scorpio magic works are favored to amplify the empathy, to work on sexuality and eroticism, to dissolve knots, unclear situations, secret or legal situations; Traditionally, the Moon in Scorpio allows us to dig in our deepest self, in the deepest secret waters where our secrets, passions and emotions reside, even towards our self, and to make them emerge on surface. 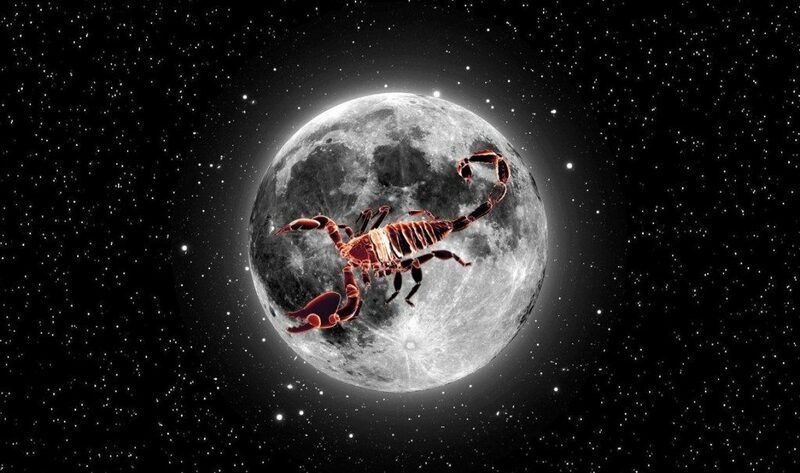 Each Magic seems to capture that bit of extra power from Scorpio, occult sign par excellence, it donates this power to the Moon. and the Moon’s North Node, which form a composition of aspects called bow, where a planet (the Sun, in this case), is faced with an array of forces that weaken, resulting in more stress and tension that are also reflected on the Moon: so take care to intense emotions and unhealthy, instinctive actions not to regret later although at that time seemed the best solution. In short, we should think twice about our actions and try to exploit the energy of this Full Moon with wisdom and rigor. Remember this is a Full Moon strangely masculine, which seems to act as a bridge between the energies of Ostara(Easter) and Beltane: the last New Moon fell in Aries , extending the renewing energies of Equinox – and the Scorpio is ruled the same way by masculine energy, perfect for working with Tides of Power that get tense at this period of time.